The minimum wage in Kyoto is 773 yen. It may be the limit to earn 6,000 to 8,000 yen in a day with minimum wage. The problem will be not serious when people can get only minimum wage if they have a family who supports them (such as university students doing a part time job). However there are many serious cases in Japan. Net café refugees can be taken as an example. Net café refugees can earn money for today, however they can’t earn money for saving even though they work as hard as they can do. They “usually rely on temporary work (haken) or day labor (hiyatoi)” (Allison 2013:44) and can get almost minimum wage in Japan. Relying on unstable jobs and getting a low salary, people continually feel anxiety and they can’t maintain themselves both mentally and physically. A net café is like home, however “‘Home,’ when they find it in a net café, is decidedly unhomey” (Allison 2013:45). Furthermore many people have to worry about the job for tomorrow every night. They spend a day with the wage they get on that day, hence there are no foods and no place where they spend a night if they can’t find a job. Sometimes they are introduced too dangerous job from the temporary staff agency. Some employers might think poor people would do the hazardous job with bad condition because they couldn’t manage a day without the job. There are not only net café refugees but also other people who are hired as irregular workers and live on the edge. It is difficult to get stable job without graduating high school or even university in Japanese modern society. People almost can’t get out the bad cycle of poverty if people leave the way of getting the life of stability once (giving up high school and so on). Some people are deprived of “a safety net, social support system, or reserves of almost any kind” (Allison 2013:45) and even hopes for the future. They lose most things that would support them and feel “devoid of hope or dreams for tomorrow” (Allison 2013:46). Their lost thing is not only them, but also ibasho. There are many people who work with minimum wage or close to the minimum in Japan. If they live alone, it would be hard to live mentally, physically and financially. With minimum wage, people can’t use their time to enjoy much even are filled with anxiety and hopeless. Japan hold many people who have no ibasho and no hope. The bad cycle of hopeless should be solved as soon as possible and Japan should become the society filled with hope for tomorrow. Japan faces a difficult situation because the Japanese social system is about to collapse. I am a student now and I worked in a part-time job. I worked three days a week and I could earn about 30,000 yen per month. I accept monetary assistance from my parents but some people do not have parents or relatives so they have to make a living only on their own. I also accept a scholarship so if my parents cannot assist me, I will be able to manage my living cost by using it. According to the Japanese Ministry of Health, people who earn under the minimum cost of living can receive welfare. Moreover, Anne Allison mentioned a woman who is haken (temporary worker) and is estranged from her parents. She could not accept any assistance. Her rent is now 35,000 yen per month but she used to live in a place that cost 100,000 yen a month. She tried to cut down her living cost but her working chances became smaller all the time. What is more, she has a disease. Generally speaking, people who fulfill the following four condition can accept welfare. First, no one assists you, like parents or relatives. Second, you do not have any property. Third, you cannot work because of an illness or injury. If all these conditions are not fulfilled, you cannot get minimum living cost per month. Considering this situation, if I earn minimum wage and I cannot accept any assistance from parents or relatives with legal age, I will face a lot of struggles. The minimum wage in Kyoto is 773 yen per hour. It means I can get about 154,600 yen per month in case of working 8 hours per day, 25 days per month. At first, I would face residential problems because my rent is now 48,000 per month. 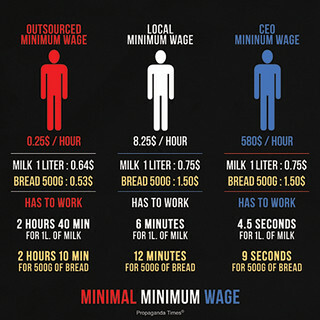 If I can only earn minimum wage, I cannot manage my living cost. I pay 88,000 as living costs like charge of water, gas, and electricity costs and administration costs. Although I can manage living cost at least, I cannot pay school expenses and I do not have time to go to university because I have to earn money to live. As a result of this situation, the only way is to quit university to manage my money. This may lead me to become a temporary worker like her. What is more, this may connect to death from overwork. If I pay my school expenses, I must cut the living costs. One efficient way is moving to cheaper residence but I do not have enough money to move to another house. That is why I will be a net café refugee. Anne Allison shows that it is difficult for young people to receive welfare because they can still work. On the other hand, some think that “being young is not a reason for denying someone welfare” (p.56). I belong to a young generation so I will not receive any welfare. Therefore, I can only rely on my friends. It is important to have connectedness. But if I rely too much on my friends, I will lose them and my credit. Regaining trust is difficult and it takes a long time. When I lose connectedness, I need some support from others. Then an “Independent life support center” is instrumental for me to find independence. Allison says finding independence is hard. To sum up my opinion, if I am earning minimum wage, I cannot manage my living costs so I try to make a living by cutting down my rent. There are possibilities to be a net café refugee. I would face many struggle in terms of human relations. If I work for minimum wage after I graduate from Ritsumeikan University, what I can do and what can’t I do? This answer may be different whether I live in Kyoto or Ishikawa, my home town. If I live and work in Kyoto, I earn 773 yen per hour and get 123,680 yen for a month (8 hours per day and 5 times a week). If I were earning 123,680 yen, I would find another job to work side by side. It is because living in Kyoto means living alone for me, so I have to pay the rent and energy costs and so on. On the other hand, I can earn 704 yen per hour and get only 112,640 yen for a month if I work for minimum wage in Ishikawa. In this situation, I may live with my family and rely on my parents of course I have no excuse. So I wouldn’t have to pay the rent. Then, I might not work two or more jobs but I may study to get some qualifications. This is because having licenses is advantageous to get next job with favorable terms and help me to succeed in getting away from poverty. What I can say in both situations, I wouldn’t have time for doing my hobbies. I have my hands full with just living and struggling to get out of the serious situation. It is literally a life with minimum necessary. It’s possible I am discriminated against socially, and I cannot have any self-confidence. Perhaps, I wouldn’t like to meet my friends and let them know I am in terrible state because I’ll feel so misery being “losers” (makegumi) [Allison 2013, p51]. For same reason, I don’t want to be in love with someone. I know if I continue this condition for long term, I would lose many friends and “healthy and culturally basic existence” [Allison 2013, p52], which is guaranteed under Article 25 of Japanese Constitution. This time, I imagined that how my life would be if I were paid the minimum wage. I consider that what’s the hardest things to be working poor is connection with people get weaken. Of course, living with little money is bitter, however, losing friends and other relationships is more heartbreaking. So I wouldn’t like to be a cheap laborer, and we should try to eradicate socially lonely people. I am talking about minimum wage in Japan. In Japan, the minimum wage is determined. However, this tackling is relieved with Abe’s government and the workers are difficult to work and live and it is easy to run companies for the administration. Namely, it is easy to live for the administration and it is difficult to live for the workers in Japanese society. If I get minimum wage in the future, if I am living by myself, it might not have any problems. However, if it is a part time work, in my old age, it is uneasy because it do not have social security and an employee pension. And if I get married to somebody and I become parent in the future, it is hard to support my family. In other thing, Japanese society will become the age of a declining birthrate and aging population more and more in the future. Households what the son support the son’s parents will increase. If I support my parents, it will be hard to manage to make a living more and more. To think this problem about if I get minimum wage, first in Kyoto, the minimum wage is about 773 yen. In this wage, for instance, I work five days for a week and work for eight hours for a day. And its simple total is 6,184 yen for a day. For a week, its total is 30,920 yen. For a month, its total is 154,600 yen. However, this is simple total. If I am a part time worker, it is very difficult to work every day and to get 154,600 yen for a month because a non-regular employee is not stable, for instance even if the non-regular employee is taken on, it is rather difficult to get work and to get money. Now, to think this, for example, I live in Kyoto in minimum wage. First, the most important thing is the place of live what is house. The market of house rent is about 40,000 yen. To deduct house rent from revenue, it is about 114,600 yen. Others one, most important thing is food. For a month, it is thought it is about 45,000 yen. This is 500 yen each a one meal and 1500 for a day. And the power, gas and water rate is collectively about 7000 yen. Therefore, what is left is 62,600 yen. At first sight, it has a surplus. However, it is extremely hard and it is as I say above so this life will be very harsh. In this class, we are studying about difficult Japanese problems, such as hikikomori and muenshakai. These problems are difficult to solve and Japanese people have physical blessings but some Japanese people do not have emotional blessings. Therefore, Japan has improved Japanese economy but the connection of people has declined. Several years ago, it was a natural thing to get together for residents’ association. In my hometown, the connection of people is strong still now. A circular bulletin notice exists. It is circulated and the opinion is gathered by majority decision. In other places, local residents people gather and talk with each people. And besides, in this society of my hometown, clean-up activities are done frequently. These activities might clean up a park or rivers in the hometown areas not only the connection of people might come to become strong. I live in Kyoto nearby Ritsumeikan University now. In Kyoto, these connection is very thin. In the fact, I have not seen faces of neighbors in my rooming apartment. The tendency which people meet neighbors declined is obvious. It is not only around ours. It is difficult to solve this tendency. However, I would like to study the way which people willingly link with each people and to make use of these research. In this university, I am studying many kinds of field. I think these studies are very useful. However, in a university, it is not only study. Ritsumeikan University has a lot of group activities and clubs. Certainly, studying is very important for university students. But I think if students do not join group activities and clubs, it is difficult to make up an ibasho (home, place of comfort) for students. I think it is an ibasho. I intend the ibasho connects us in our life strongly. Several years ago, my father said that “friends of university are as friends in our life. So you must cherish your friends. You must treasure your friends and you must look for friends who cherish you, too. These friends might become an ibasho.” I think this speech is very meaningful in our lives. These days, some young people are unwilling to join a kind of ibasho. However, it will not be a fruitful life. So to be a fruitful life, I would like to join a kind of an ibasho and to continue in these ibasho. And besides, I hope to keep on maintaining these ibasho for along time. Aya Moorehead’s latest video capturing the beauty of Kyoto in the springtime. 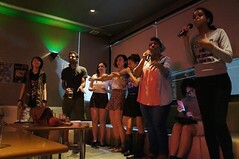 Some Ritsumeikan students have formed the Kyoto International Network to help create a greater sense of connection and community among international and Japanese students in the Kyoto area. Despite the fact that Kyoto is home to multiple universities, each of which has international students, it’s common for non-Japanese students to feel isolated in Kyoto. To remedy that situation, students have formed KIN. Are you a student who just arrived in Kyoto and want to do great things? Are you interested about networking and communication but you feel that your Japanese is not good enough to exchange ideas and opinions with other people? This event is for people like you and me who are looking for opportunities and chance to show who we really are! Since Kyoto and the Kansai region are becoming more and more international, creating a social platform for international students is key to facilitating communication among local universities. 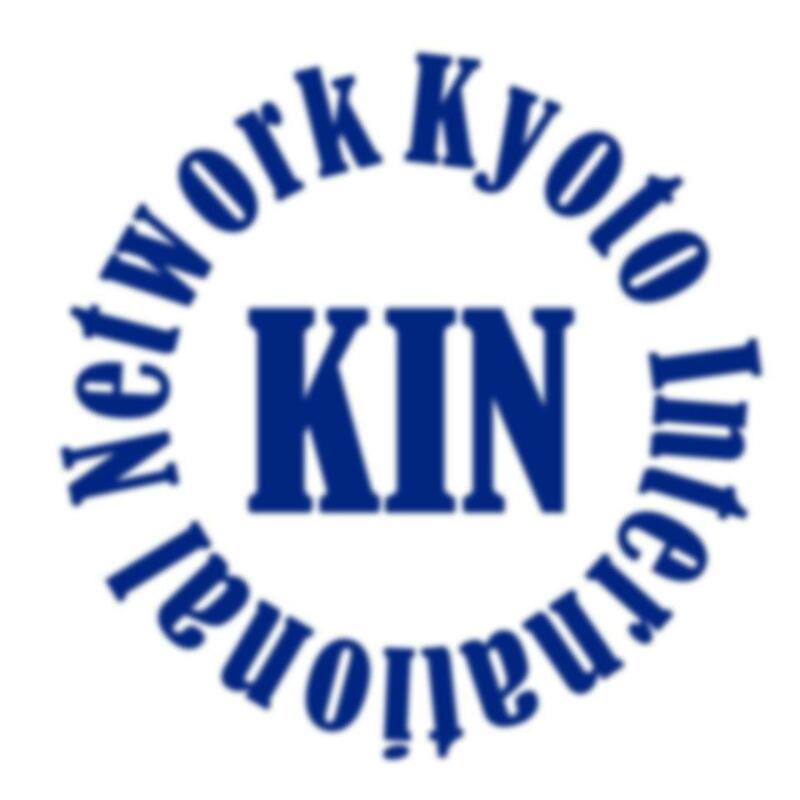 Through the Kyoto International Network (KIN*), we seek to provide information about important events and opportunities (ex. internships and seminars) for students so that they may get the most out of their time here in Japan. Furthermore, since many of the foreigners who arrive in Japan are not necessarily fluent in Japanese, most of the event proposed by KIN will be conducted in English or bilingual in order to allow ease of communication and promote networking among English speakers. This network is made by students for students and we anticipate that many people will share their events with us. Meeting new people, exchanging ideas, and networking are the key notions we promote! In this spirit, after one month, we have decided that the KIN community will hold its very first event on the November 30th! The primary purpose of our event is to gather every people in Kyoto (and Kansai) who are interested in networking and creating new projects with foreign students in Japan! Kyoto International Network has a website, Facebook page, and email account. If you’re in the Kyoto area, come join the conversation and help build a group that can serve students across the Kansai area.